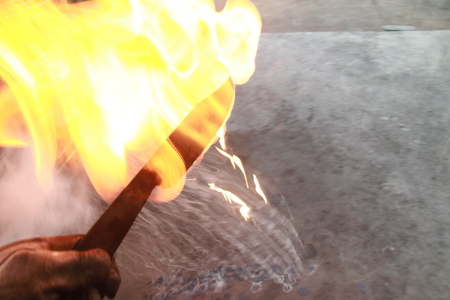 Are you a fan of the hit TV show Forged in Fire? Broken Hammer Forge offers you the opportunity to share in the experience. Students will design and forge a single edge blade between 4 - 10 inches in length (not counting the handle) with wooden handle scales. The exact design and profile of the blade is up to the student as long as it is within the basic parameters set above. This class now runs for two days over the course of a weekend. Class cost is $425 per student. 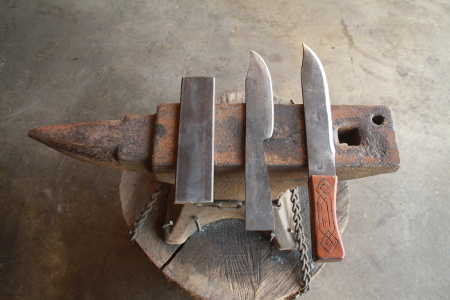 Stages of Making a Knife. 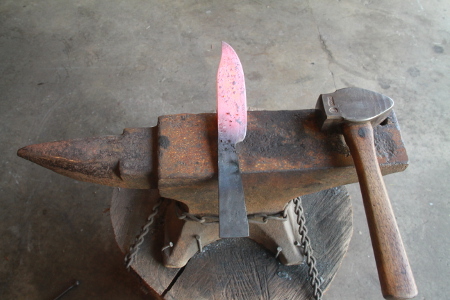 Just finished forging the knife, still hot. 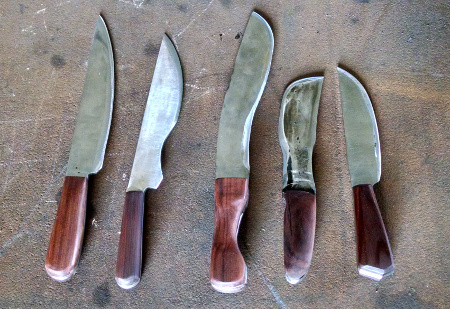 Finished blades from our 2016 class.